It's finished, but I want more! I loved this series, but the ending of some subplots seemed to be the beginnings of another book. I want to hear about Dorrin's adventures, what Gird has in store for Arvid, how the new mageborn handle their powers and are trained! The unthinkable has occurred in the kingdom of Lyonya. The queen of the Elves - known as the Lady - is dead, murdered by former elves twisted by dark powers. Now the Lady’s half-elven grandson must heal the mistrust between elf and human before their enemies strike again. Yet as he struggles to make ready for an attack, an even greater threat looms across the Eight Kingdoms.Throughout the north, magic is reappearing after centuries of absence, emerging without warning in family after family - rich and poor alike. Poor narrator for a good story. 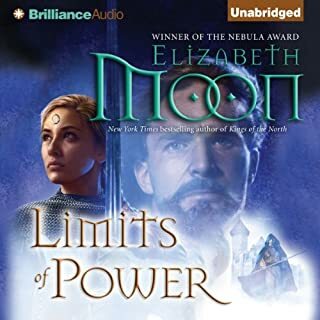 Would you consider the audio edition of Limits of Power to be better than the print version? Her pronounciation of various place names and characters' names is inconsistent with the audio versions of the first 6 books. I went straight from Limits of Power to this book and it was a jolt to hear familiar names "mispronounced". Obviously the narrator had no familiarity with the first books. No extreme reaction. 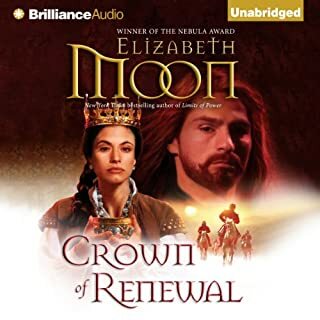 I thought it was, like all of the Paksenarrian/Paladin books, very well written.